In January 2010, a conference was held in Santa Cruz, California, for alumni of the Professional Development Program (PDP), which was developed through the Center for Adaptive Optics and now continues through the Institute for Scientist & Engineer Educators and the Akamai Workforce Initiative at the University of California, Santa Cruz. 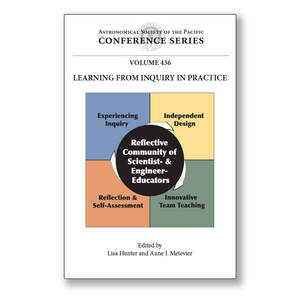 Held every year since 2001, the PDP workshops have trained graduate students, postdoctoral researchers, and faculty members to teach effectively and inclusively through instructional strategies in which students build conceptual understanding and learn scientific reasoning processes -- that is, through "inquiry." This PDP training has complemented and supported participants' research training, strengthening their preparation for careers in academia. The alumni conference included discussions about the PDP's role in participants' career transitions and advancement, and addressed how to find and secure funding for continued science and engineering education innovations. Keynote talks highlighted the role of the PDP within the Center for Adaptive Optics, its positive effect on participants, and future directions for the program. Poster sessions provided a venue for current and past participants to share their work on designing and teaching laboratory-based inquiry activities, mainly for college students, through the PDP. At these sessions, participants also shared their work on curriculum development, and their research on and development of the PDP itself. Originally, the PDP was focused on training astronomers and vision scientists who were drawn from the Center for Adaptive Optics community. In more recent years, the program has expanded to include participants from many natural science and engineering disciplines. This volume includes contributions from participants spanning the 10 years of the PDP and reflects the breadth of their disciplines and efforts.